Rome, 27 February 2018 – A delivery ceremony for the Italian Air Force’s eighteenth M-346 took place today at Leonardo’s Aircraft Division site located at Venegono Superiore (Varese). The M-346 aircraft, designated T-346A by the Italian Air Force, represents the spearhead of Galatina’s 61st Air Wing (Lecce) where Italian fighter pilots are trained together with personnel from other countries including the United States, Spain, France, Austria, The Netherlands, Poland, Singapore, Argentina, Greece and Kuwait. The operational training, mostly carried out on the T-346A, is preparatory for the aero-tactical line, prior to flying fighters such as the Eurofighter or F-35. The Italian Air Force base also utilises LVC (Live, Virtual and Constructive Simulation) technology. Thanks to LVC it is possible to link simulators to live sorties, allowing a pilot flying a full-motion training device on the ground to act as the wingman or as a target for an aircraft already in the air. 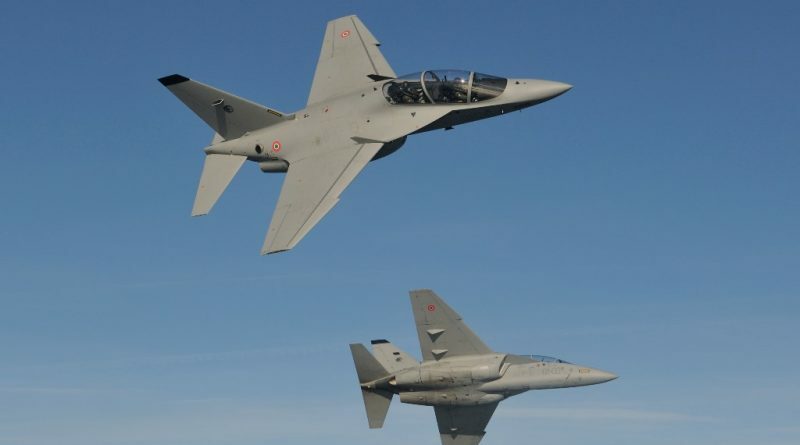 The M-346 ordered by the Italian Air Force, Republic of Singapore Air Force, Israeli Air Force and Polish Air Force is the basis of the T-100 Integrated Training System, the solution offered by Leonardo DRS in the T-X competition for the U.S. Air Force’s integrated training system programme. 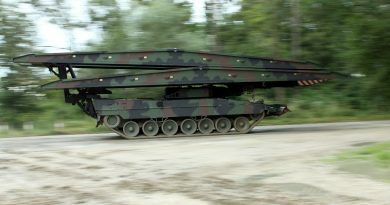 The flight envelope, high thrust/weight ratio, the ability to develop high angles of attack and extreme manoeuvrability allow the M-346 to offer flight conditions comparable to those of new-generation combat aircraft. This maximises training effectiveness and reduces the need to fly sorties on the far more expensive and complex variants of frontline types. Its Embedded Tactical Training Simulation (ETTS) allows the M-346 to emulate sensors, countermeasures and armaments, as well as allowing pilots to interact in real time with a virtual tactical scenario, further enhancing flexibility and cost reduction. 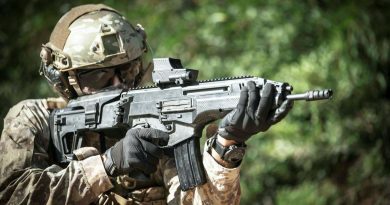 Thanks to its Helmet Mounted Display, vocal control inputs and in-flight refuelling probe, the M-346 can carry out a complete tactical training syllabus.